At Scout Mortgage, our team of Scottsdale mortgage brokers are dedicated to helping clients throughout the homebuying process. If you’ve gotten prequalified for a home loan, it’s off to the races! Purchasing a home can be a stressful experience, but we’re here to provide you with a bit of advice to ensure that you’re getting started off on the right foot. In part one of our blog series, we took a look at a few things you can do if you’re considering a home to make sure that it could be a good fit for you before you put in an offer and have an inspection done. In today’s post, we’ll take a look at a few more things you can do on your own to ensure that you’re getting a home that you’ll love for many years to come. What Else Can You Look For On Your Own? 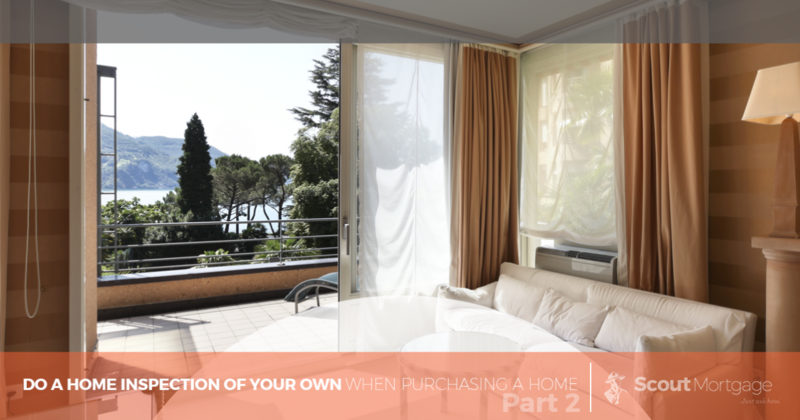 It’s inevitable that a home will have issues at some point in its life, but if you’re purchasing a home, as a buyer, you want to be certain that you’re not going to be facing anything that you’re not prepared for. In other words, you don’t want to have to purchase a home just to have to do a lot of unexpected work on it. Here are a few of the things you can check for when touring a home for the first time. Codes vary from area to area, but generally speaking, you’ll want plenty of smoke detectors in your home. Be sure to check their locations. At a minimum, the recommendation is that you have one in each bedroom, in any hallways, and in other living spaces. If you have a basement, you’ll want one (or possibly more) down there as well. Check for carbon monoxide detectors as well. This is something a home inspector will generally do as well, but it’s never a bad idea to give yourself a leg up. You should also check to see how windows function in your potential new home. Whether the house is old or new, somethings windows get painted shut. Our advice is to open the window as you normally would. If everything works as it’s supposed to, that’s great! If not, you might be able to negotiate a lower price. Don’t forget to take a look at screen doors, sliding glass doors, and the like to be sure that they all function as they should as well. After all, if you’re interested in a home that has a nice breeze coming in through the screen door and it won’t open properly, you’ll know that it needs fixing before putting in an offer. At Scout Mortgage, our goal is to make your homebuying experience a breeze. Whether you’re searching for a loan to buy your first home, refinancing your current home, or something else entirely, we’d love to help. Reach out to us today to get started or learn more here if you’re looking for a mortgage lender in Scottsdale.